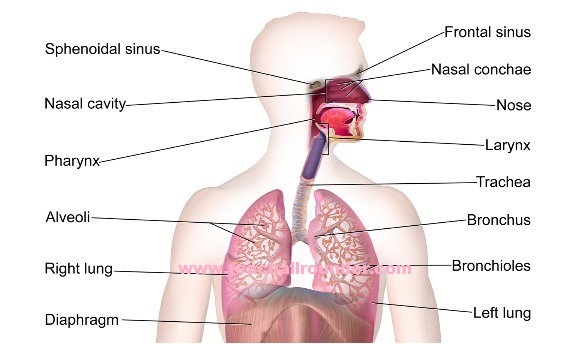 In this post we will discuss about the human respiratory system. 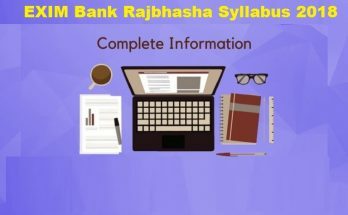 This is an important topic for the upcoming SSC CGL,SSC, RAILWAY,BANK And Exam as well as for other competitive exam. Question from this topic are generally asked in competitive exam so read it carefully. The respiratory system is an oxidation process involving the burning up of food substance such as carbohydrates, fats and proteins with the tissue to form carbon dioxide, water and release of energy. A pair of holes is present above mouth and in human beings it is called as nostril. On th wall of nosal cavity and nosal holes mucous glands are found through which mucous is secreted. Dust particles and the microbes are trapped by nosal hairs and semi liquid material present in nose. It is a Muscular membranous channel connecting the nasal cavity to the larynx and the oral cavity to the oesophagus. It helps in breathing, ingestion of food and speech. its main function is to produce sound hence also known as voice box. It also helps in coughing, swallowing and in safety of respiratory tracks. At the entrance point of the larynx a thin blade like structure exists whixh is called Epiglottis, which ensure that the larynx closes during the food intake so that food cannot enter the respiratory system and this process occur normally and automatically. The larynx is connected to the trachea which is a 12 cm long having a tube like structure. The trachea is hanged like and inverted tree in the chest cavity of the human body. Here the both main branches of the trachea are called primary bronchiole. The right most bronchiole is divided into three branches and the left most bronchiole is divided into two branches. Lungs are sponge like cylindrical in structure and its colour is red. There are two lungs in the thoracic cavity i.e. right lung and left lung. The right lung is lingered while the left lung is made from two lobs. Each lung is surrounded by a membrane which is called pleural membrane, which is filled with some fluid. Right lung is slightly greater than left lung. In all mammals, a pair of spongy lungs are present and air inhale and exhale at a definite rate which is called as breathing. In this phase the atmospheric air enters inside the lungs and consequently lungs are expanded because of the increase of volume of the chest cavity. Thus in this process low pressure is developed inside the lungs and that’s why atmospheric air enters. Expiration: in this phase the absorbed atmospheric air of the lungs is pumped out and due to the contraction of the internal inter costal muscles, ribs again come back to their original position and the absorbed air of the lungs is pumped out. This pumping of the air from the lungs is called expiration. The exchange of gases takes place inside the lungs due to pressure difference by the process of diffusion. The direction of the diffusion of the oxygen and carbon di oxide are opposite to each other. The process in which the oxygen from lungs goes to the cells and the carbon dioxide goes from cells to lungs is called transportation of gases. Transportation of gases is completed by the help on blood circulatory system. Transportation of oxygen:oxygen is transported by a red pigment substance which is called haemoglobin. It directly reacts with oxygen and forms a unstable compound. And now this compound reaches to every cell of body and decomposes to supply oxygen. Transportation of carbon di oxide – transportation of co2 by the haemoglobin takes place in which co2 is reached from the cells of the body to the lungs. The process of oxidization of glucose is called cellular respiration. When process of respiration takes place in absence of oxygen then it is called as Anaerobic respiration. The last product of anaerobic respiration is pyruvic acid. During the process energy of ATP of 4 molecules are generated in which energy of ATP of two molecules is utilised in completing the process and the rest of the energy of 2 molecules is utilised. Lactic acid causes the pain in muscles, if we do excess exercise. When oxidation of food takes place in the presence of oxygen , it is called aerobic respiration. At the end of an aerobic respiration 36 energy of ATP is released and 55 to 60% of energy is utilised and rest of the energy is dissipated as heat.